The ability to identify the proper connection of circuit components. In these topics, you will know various terms, some of these terms have same meanings and some aren't. you must not be confused between the similar ones. For example, Electrical Drawing / print/ blue print/diagram, all of these terms are essentially a "plan" on a sheet of paper that includes specific details for electrical systems of specific places. There are many types of electrical diagrams which range from the very simple to the very complex. Each of these electrical diagrams has a specific purpose and distinguishing features that set it apart from the others. You should be able to recognize the relationship between these various diagrams, their distinguishing features, and the purpose of each type of diagram. A block diagram provides a rough outline of a circuit. Block diagrams are easy to follow and show the path of electricity from start to finish. Present a general description of a system and its functions. Show the major components of a system. Show the way in which these components connect to each other. Each components of the circuit is shown in a simple block form with a corresponding label for identification purposes, using no special symbols or language and the interconnections of these components are represented by solid lines. You can read the block diagrams from the top to the bottom or from left to right of the diagram. You can get a general description of the system functions by tracing from component to component in the block diagram. It is the simplest electrical diagram. It does not show every specific detail needed to wire the circuit as other diagrams do. A schematic diagram shows more detail than a block diagram to represent the various parts of the circuit. Every electrical component in electrical circuit can be represented with a schematic and every electrical circuit in electrical system can be represented by a schematic diagram. Show the overall idea, or scheme, of an electrical circuit. Show the electrical connections and functions of a specific circuit arrangement. Trace the circuit and its functions without regard to the actual physical size, shape, or location of the component devices or parts. 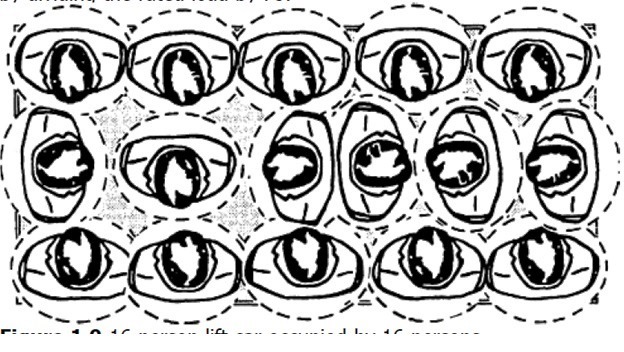 All components are represented by graphic symbols and the interconnections of these components are represented by solid lines. A list of common labels assigned to schematic symbols must be included to read and interpret the schematic diagram (note: there are hundreds of different types of schematic symbols). You can read the Schematic diagram from the top to the bottom or from left to right of the diagram, and For an electrical system with many schematic diagrams each schematic is also numbered and labeled so that individual circuits are not confused with each other. It can be read and understood easily. 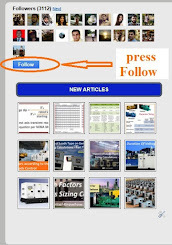 So, the schematic diagram is the most useful of all the diagrams in learning overall system operation. It doesn’t include every single detail needed to wire the circuit as a wiring diagram does. The symbols are not always in the exact physical order as the actual circuit. A pictorial diagram is a diagram that shows the components just as they would appear in the actual circuit. It is like taking a picture of the circuit. A pictorial diagram differs from a schematic diagram because pictorial diagrams show where all the electrical components are located in the circuit. Show the various components of a specific system without regard to their physical location. Show the length, height, and depth of a component in one view. Show the physical details of the components. Show the wiring between these components without regard to how the wiring is marked, or how the wiring is routed. Locate a specific component in the system even if you are not familiar with their physical appearance. It is a snapshot of the circuit. It will not include a symbols key/label to guide you since there are no obscure symbols involved. They are a convenient and quick reference. It doesn't include every single detail needed to wire the circuit as a wiring diagram does. Some wiring diagrams are so large and contain so many components that the diagram is broken up into numbered and lettered sections. Each component is labeled and is accompanied by a key for identification. Show the physical relationship of all the components in the electrical circuit. List all the necessary information needed to wire a given electrical project. Identify the wires by wire numbers or color coding. Wiring diagrams are the most detailed and most technical electrical diagrams. The Wiring diagrams are most complex type of electrical print. Many times, a wiring diagram will accompany a schematic drawing, and in fact, each diagram may reference the other. 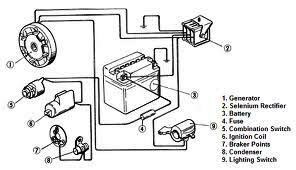 You should use the schematic diagram previously discussed to determine where the trouble might be in the circuit when a malfunction occurs. The schematic diagram does not show the terminals, connector points, and so forth, of the circuit. Therefore, you must go to the circuit wiring diagram to determine where to make the voltage or resistance checks in the circuit when troubleshooting. One of the most important wiring diagrams is what we called “Architectural wiring diagram”. The architectural wiring diagram can be referred to as a one-line diagram. This is because the diagram shows multi-conductor cables with a single line. A single line drawn on these diagram wills always indicate at least two conductors. The diagram does not necessarily show the actual path of the cables, but simply which outlets and fixtures are controlled by which switches. A complete diagram may have elevations, detailed, exploded areas of a particular portion of a diagram. There may also be notes and a list of special equipment descriptions. Figure(1) shows the architectural wiring diagram of a kitchen. Branch circuit (1) supplies power to the refrigerator and outside lamp fixture in the northeast corner. The lamp is controlled by interior switch S near the door. Branch circuit (2), Along the north wall, consists of a switch controlled fan (F) and two duplex outlets. Branch circuit (3) consists of three duplex receptacles along the east, south and west walls are wired in parallel. Notice the wire leading to the receptacle on the west wall is broken, this means the wire is concealed in the floor. In Branch circuit (4), A three- conductor cable is connected to the recessed fluorescent lamp fixture (R). This ceiling fixture is controlled by two three-way switches (S3), located by each door. 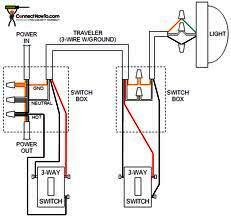 Three-way switches require 3-wire cable. 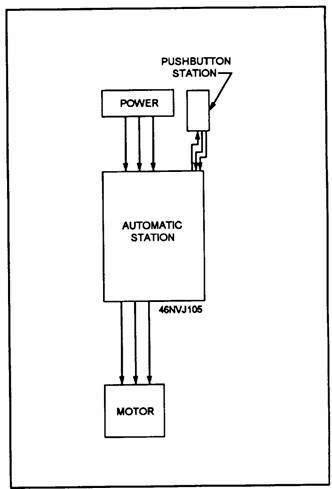 This means power is supplied to the ceiling fixture from terminal (4) of the service entrance, located in the lower right corner of the diagram. Branch circuit (5) is an electric range receptacle (RG). This type of receptacle is always independently connected with a heavy 3-wire cable. In the next Topic, I will continue explaining other types of electrical diagrams. so, please keep following. I want to know, which reference/standard do you use for explaining everything above? because i want to put international code and standard for my paper beside this blog, so maybe you can explain to me which part of standard do you use?